WWOOF – Who Let the Dogs Out? Do you know what or who a WWOOFer is? I actually have two in my family. No, not the cute little animal that licks your hand. 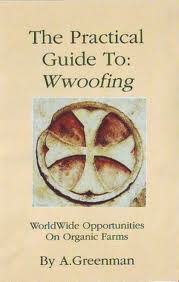 WOOFF stands for World Wide Opportunities on Organic Farms. and those that are part of the program are called WWOOFers. Quite simply you volunteer in many places around the world 4-6 hours per day and get reimbursed with housing, and meals. Our son and his now wife did it after college. WWOOFing is a great way to learn new skills while traveling and giving back. He wasn’t quite sure what he wanted to do when he graduated and becoming a WOOFFer bridged that gap and gave him time to ponder his future. The first step is deciding where you want to volunteer/work. Blogger Son #2 wanted to go to Hawaii. 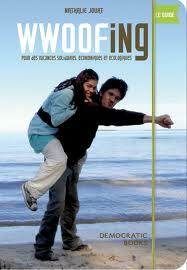 He then joined the WWOOF for the United States. He received information on all the hosts in a booket. It was up to him to contact the hosts and to work out an agreeable arrangement. They called, emailed and found a situation that seemed ideal to them. They worked at a bread and breakfast in Kona. Blogger Son #2 worked the gardens, took care of the coffee and macadamia trees. DIL#2 made the breakfasts with the native fruits that grew all over this location as well as doing the morning laundry. They were both finished with their work at noon and they had the rest of the day to enjoy the Hawaiian life style. WWOOFing isn’t just for the young. They actually replaced a retired couple. They enjoyed where they were working so much that they actually ended up staying there for about 4 months. They were treated like members of the family, invited to spend Christmas with them. They even went back years later after they were married and were expecting their first child. In addition to this location, they also worked on a lettuce farm (too low to the ground for my son), an anthurium farm (the waxy flower that has a tongue) and a retreat on Maui. 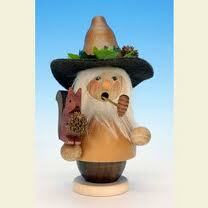 He was able to ppick up a few paying odd jobs including selling Norfolk pine Christmas trees. They came back home after about 8 months with wonderful adventures. When we were traveling on bus in Italy last year we met some WWOOFers there who were also enjoying their adventure. Friends of our son also WWOOFed in New Zealand. Blogger Son #1 had been to Cambodia and Siem Reap during his big backpacking trip in 2004/5, and insisted that since we would be so close to Siem Reap, we had to make a quick stop there. I’m SO glad we did. 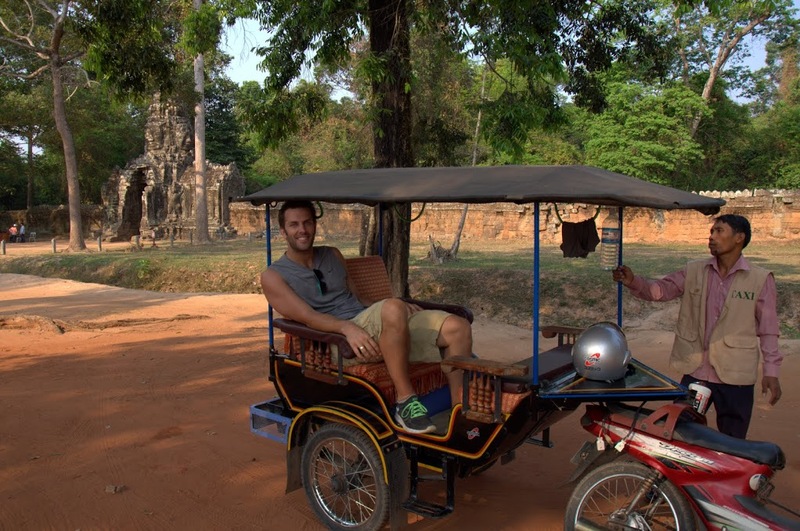 Arriving in Siem Reap was vastly different from arriving in Vietnam. For the better, if you ask me. Immediately, I was struck by the ruggedness and lack of infrastructure – dirt roads, people walking down the highways, tuk-tuks, and sweltering heat!! It was almost like landing in Africa. It was during this leg of the trip that I officially turned 30, and I’d done a lot of research into a ‘splurge’ hotel. We ended up choosing Angkor Village Hotel, which was made up of lots of little pagodas surrounding a lily pond/ dining area. Arriving there felt like arriving at an oasis in the desert – we were greeted by friendly staff giving us a traditional Cambodia greeting (prayer hands, bow), a welcome drink in a coconut shell, and A.C.!! Anxious to get a feel for our surroundings, we dropped our bags off and immediately went to explore town – I was blown away by the energy, excitement, and sensory overload that we found in town. Streets lined with cafes, restaurants, $1 massage parlors, shopping stalls, and people buzzing everywhere. What a stimulating place! A delicious $3 Amok curry, several $0.50 beers, a $10 full-body massage, and shopping followed by more beers become our nightly routine –the perfect ending to our perfectly active days. 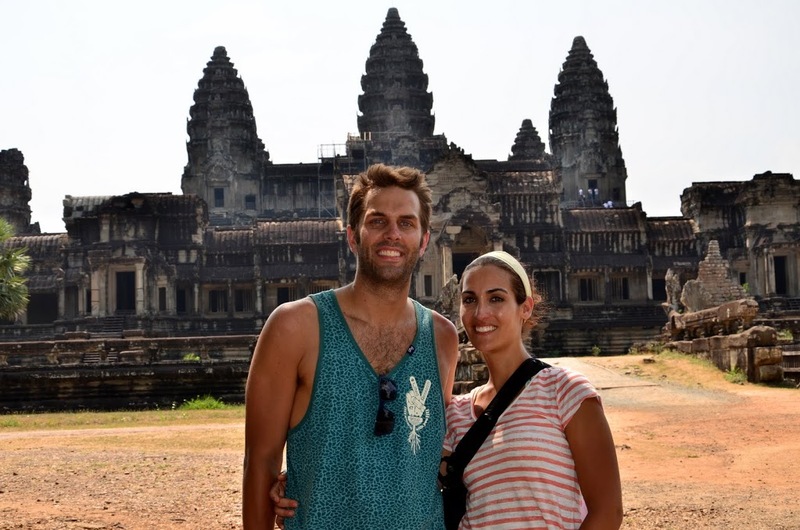 Speaking of which – we spent our days touring some of the most magical sights I’ve ever seen – the temples of Angkor. Day 1 was spent at the biggest temples – amazing but also draining, even though we hired a guide and an air-conditioned vehicle (I’d highly recommend getting a guide, car, and AC for the big ones as your feet will ACHE after a few hours of touring the temples). That first day, we saw Angkor Thom, Ta Prom (also known as the Tomb Raider temple due to movie filmed there w/ Angelina Jolie), and Angkor Wat. 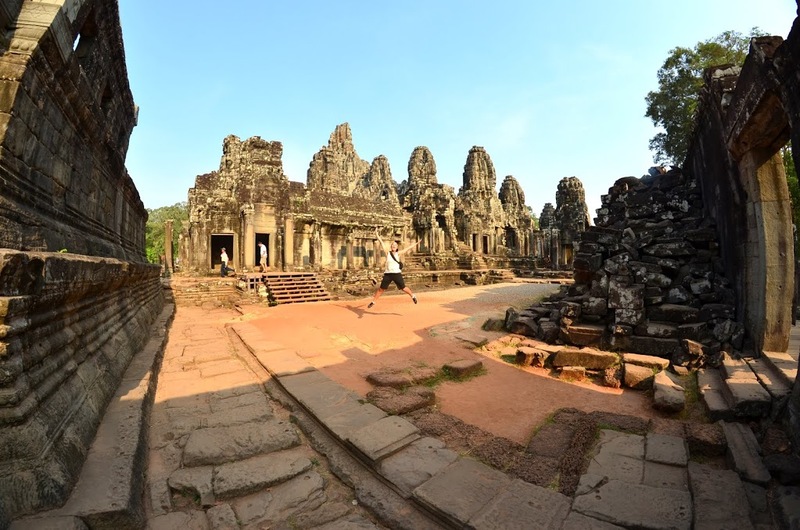 The second day, we hired a tuk-tuk driver and visited some of the smaller temples sans guide – Presh Khan, Banteay Kdei, Ta Som, etc. Highlights for me were Angkor Thom (probably because we arrived early enough that we missed the crowds there) and Ta Som (a quiet, lesser-known but just as beautiful “jungle” temple where we practically had the place to ourselves). After days touring in the heat, we’d spend the afternoon relaxing by our pool at the hotel before the evening routine ensued. Well, all good things come to an end, sadly. To get home, we flew from Siem Reap to Hanoi, where we had an excruciatingly long layover before boarding our westbound plane to D.C. via Dubai. Our perfect trip ended with a beautiful cherry on top – a business class upgrade from Dubai to D.C. – boom! We had the most magical trip, and I’d highly recommend our itinerary to anyone without any significant changes. 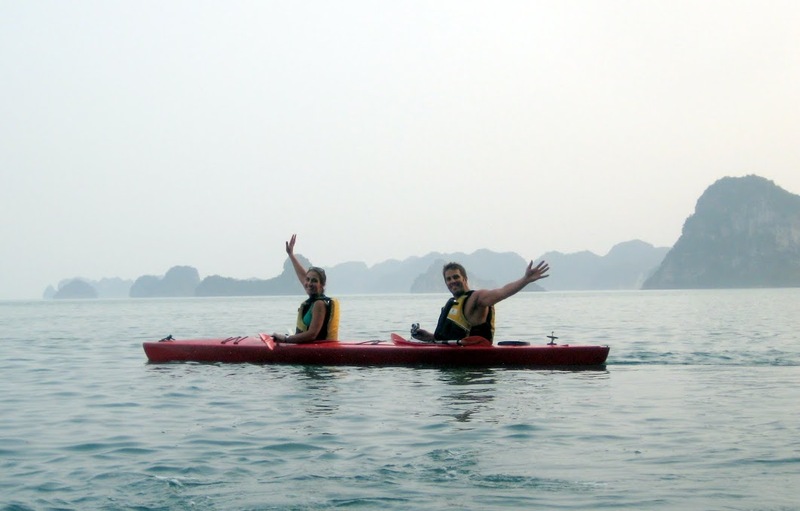 Highlights for us were: Hoi An, Halong Bay and Siem Reap. I’d love to get back to both Vietnam and Cambodia one day, but especially to Cambodia – I know just seeing Siem Reap barely scrapes the surface of what the dynamic country has to offer! This is the second of a three part series of travels by Blogger Son #1 and his wife. I am very thankful to this wife for writing this trip report. I was very sad to say goodbye to Hoi An, but onwards to Hanoi and directly to an overnight train to Sapa, the northwest market town that is colorful and charming, and provides a great base for treks in the neighboring mountains. 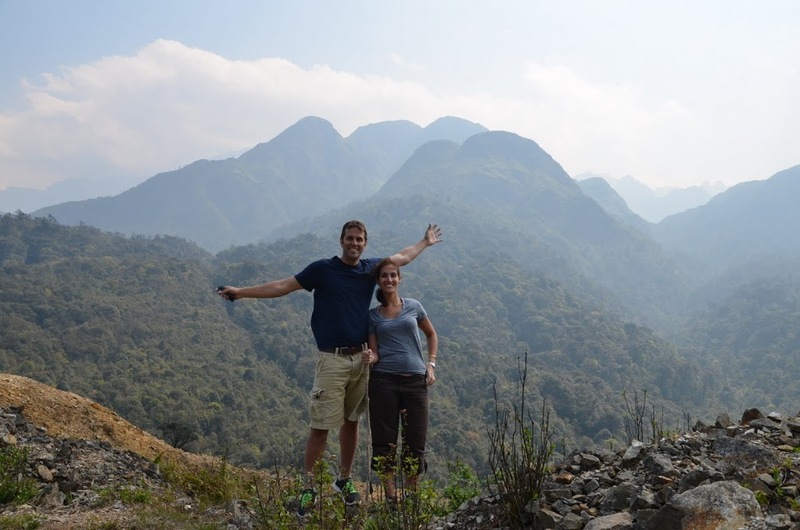 The only way to get to Sapa is via overnight train from Hanoi, which was quite the experience (albeit a long trek). After a better night’s rest than I’d imagined, we were picked up at the station in the early hours of the morning for the 2 hour drive to our lodge, Topas Ecolodge, located a few miles outside of Sapa town. We arrived early in the morning, when the mountains were still covered in fog and created a quiet and tranquil ambiance. With only 2 days/1 night to explore, we immediately arranged a mountain trek via our hotel and set out on what was probably a 10-15 mile hike down the mountain, through some indigenous tribal villages, and back to the ecolodge (note: you do not have to have a guide, but since we only had one day to hike, we wanted to ensure we did the best possible hike and therefore hired a guide). 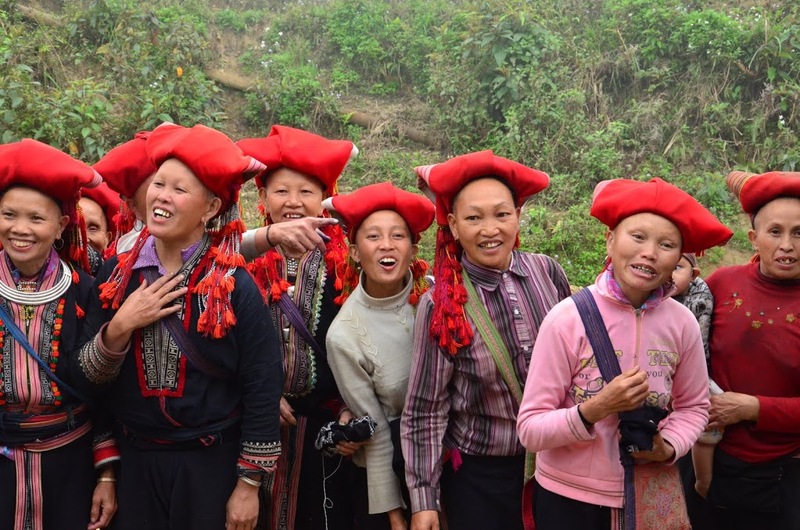 The hike was beautiful, but by far the most standout thing about it was the fact that we were followed by about 10 women from the Red Dao tribe community located right outside our hotel for the entire hike! They ranged in age from about 25 to 85, and some even carried babies on their back. Their whole M.O. was to walk with us, befriend us (“where you from”, “hello, you buy from me” in broken English that was actually quite impressive), and then during our lunch break, sells us some of their handmade tribal trinkets that they’d carried on their backs the entire time. By that time, you feel so bad for them that you’re more likely to pay the ridiculous price they’re asking! On our second and final day in Sapa, we rented a scooter and cruised around the mountainside, taking in all the beautiful sights. We also spent some time in the little town itself, browsing the market, eating lunch, and getting a much-needed massage (Sapa town is strategically lined with massage parlors to help ease the aches and pains of all the hikers, we were no exception). That evening, we were transported back to the train station for the overnight train back to Hanoi. The next leg of our trip was an overnight stay on the Dragon Pearl Junk boat of the Indochina Junk fleet in famous Halong Bay. Halong Bay is made up of thousands of amazing limestone islands, rock formations, and caves that have formed over centuries of wind water. The bay is absolutely breathtaking and no wonder it’s a huge tourist attraction. The bay is magnificent and this 1-night cruise was an excellent way to see it. If we had more time, I would have extended to a 2-night cruise that take you to even more remote parts of the bay and surrounding bays. The cruise company had us back in Hanoi by evening, and we spent our last night in Vietnam at Art Trendy Hotel in Hanoi Old Quarter. We discovered some delicious street food (are you seeing the trend yet?) and did a little walking tour around the Old Quarter. 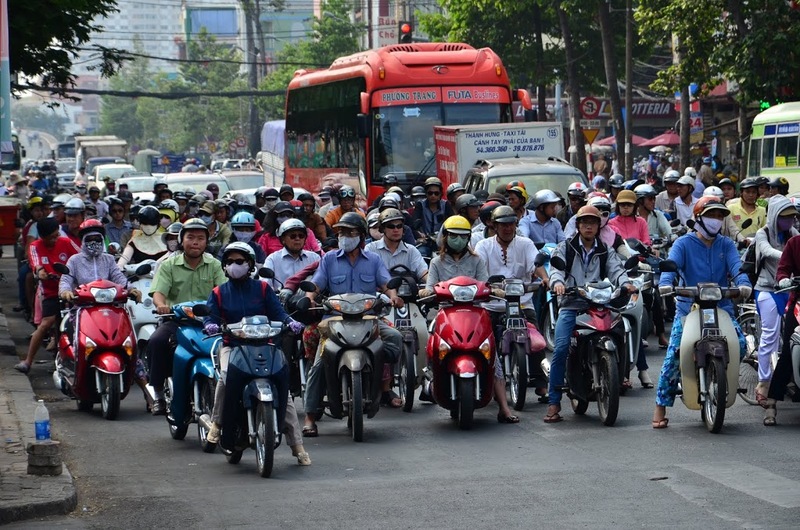 We had heard a lot about pickpockets and theft in Hanoi and were very cautious about holding onto our belongings tightly, but didn’t have any issues whatsoever. The Vietnamese people we encountered were very friendly! Early the next morning, we were transferred back to the airport for our quick flight to Cambodia. Before I get into the details of our recent trip to Vietnam and Cambodia, allow me to introduce myself and provide you with a little background about who I am. I was born and raised in South Africa, was lucky enough to have my first European vacation at the age of 6, did extensive traveling in southern Africa during my youth, immigrated to the United States at the age of 12, and traveled every summer from high school through college and graduate school (including 6 months studying aboard in France). To say I’ve got wanderlust would be an understatement. When I met Son #1, he’d just returned from 8 months of backpacking around the world. I just knew we were meant to be… Son #1 and I were set up 7 ½ years ago, have been married for 3 years, have visited 19 countries together, and have a little bambino on the way in early January… I am DIL #2. 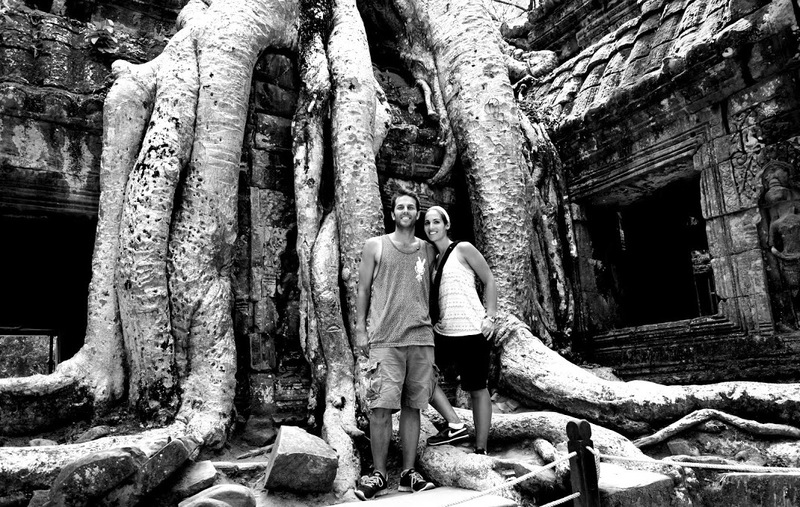 Vietnam & Cambodia I’m sure its no surprise that we take our travel planning very seriously. Our trip to Vietnam and Cambodia in March of this year was planned for about 6 months. In addition to being our annual ‘big’ trip, it was my 30th birthday present – lucky me! My husband is practically a professional traveler and so, once we decide on a country to visit, he generally takes the lead mapping out our planned itinerary through the country. He does countless hours of research and reading in order to finesse our route (our trips at most are 2 weeks in length due to the fact that we both work full-time). Once he has mapped out the POA, I come on board to help figure out the details of the trip – hotels, transportation, activities, etc. 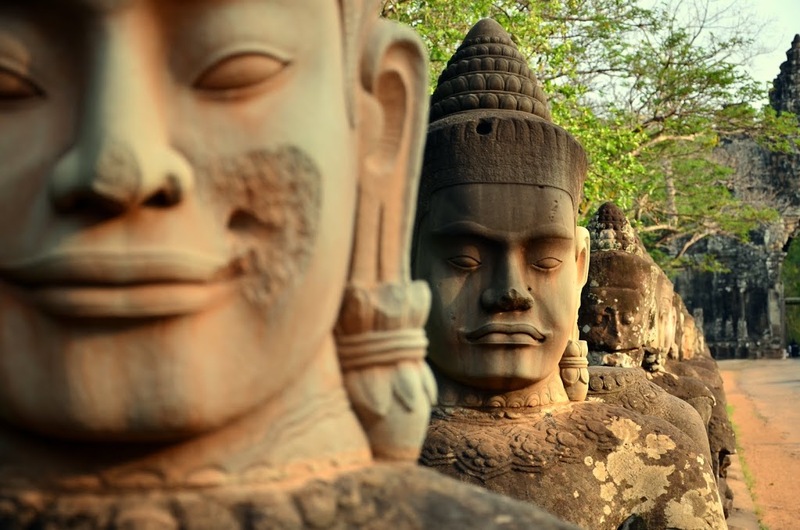 Vietnam and Cambodia were no exception to this general rule. 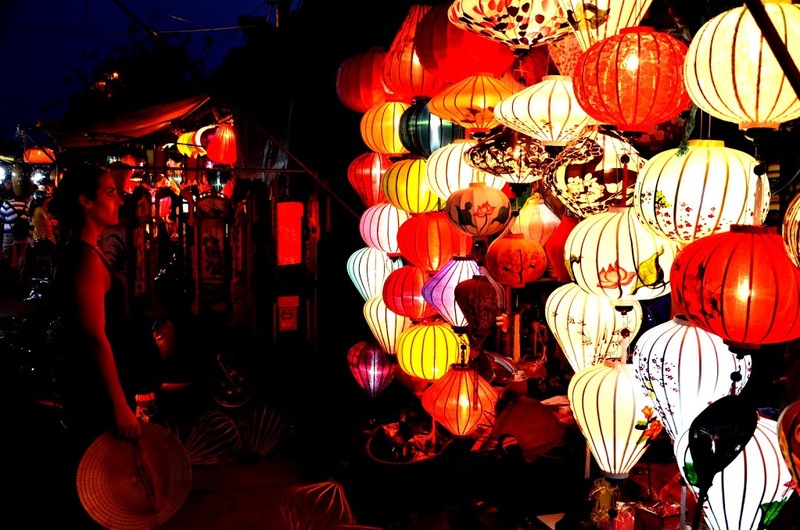 Here was the 2 week itinerary for Vietnam and Cambodia: 2 nights in Ho Chi Minh City, 3 nights in Hoi An, overnight to Sapa, 1 night in Sapa, overnight to Hanoi, 1 night in Halong Bay, 1 night in Hanoi, 3 nights in Siem Reap. We landed in HCMC after a long flight that took us through Dubai on Emirates. No matter how many times I do it, landing in a foreign country is so disorienting at first – a combination of exhaustion, jet lag, and being on the opposite side of the world can really confuse me! We’d arranged a pick up from the airport to take us to our hotel (I highly recommend organizing at least the first night’s hotel and a transfer there no matter what your travel style), Giang Son Hotel (low-budget hotel in the heart of HCMC that came highly recommended by Lonely Planet & other travelers). After a much-deserved hot shower and change of clothes, I was ready to crash (although it was early), but my husband has different ideas upon landing in a foreign country! Being located in District 1, or the heart of HCMC, we walked right out of our hotel and had hundreds of food options, and decided to go for our first bowl of Pho at a nearby eatery. We eat a lot of Pho in our hometown of D.C., but this stuff was the real deal. After dinner, we strolled around the streets, taking in all the sights, sounds, and smells of HCMC. Scooters en masse, peddlers, food, restaurants, bars, artists, you name it. What a vibrant place! The next day (our only full day in the city), we did a bit of a walking tour around the city – went to Cholon market (huge market with food and clothes, shoes, suits, dresses, food, and souvenirs all for a fraction you would pay anywhere else) and the War Remnants Museum (talk about a Debbie Downer, but very interesting too). We got ourselves sufficiently lost on the way back, but enjoyed meandering through the city, taking it all in (a must in any foreign city, if you have the time). 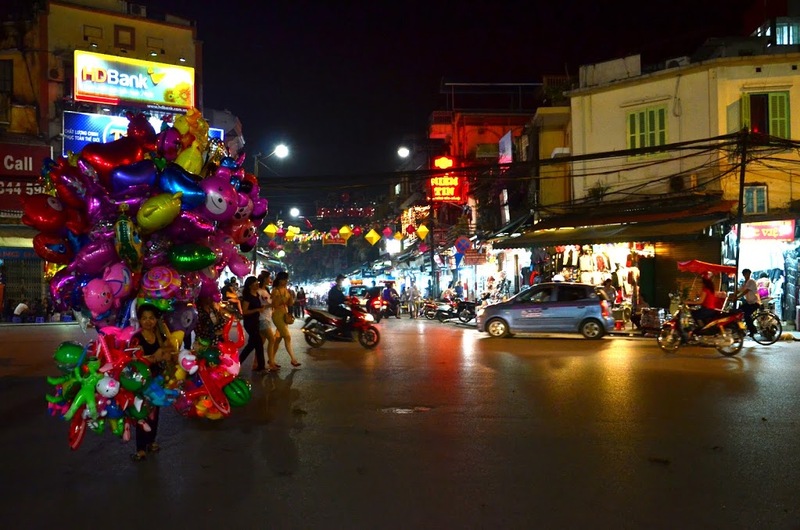 That evening was spent in the district around our hotel – eating delicious Vietnamese cuisine, drinking beer, and people watching (one of our favorite activities while traveling). To get to Hoi An, we took a direct flight from HCMC to DaNang. 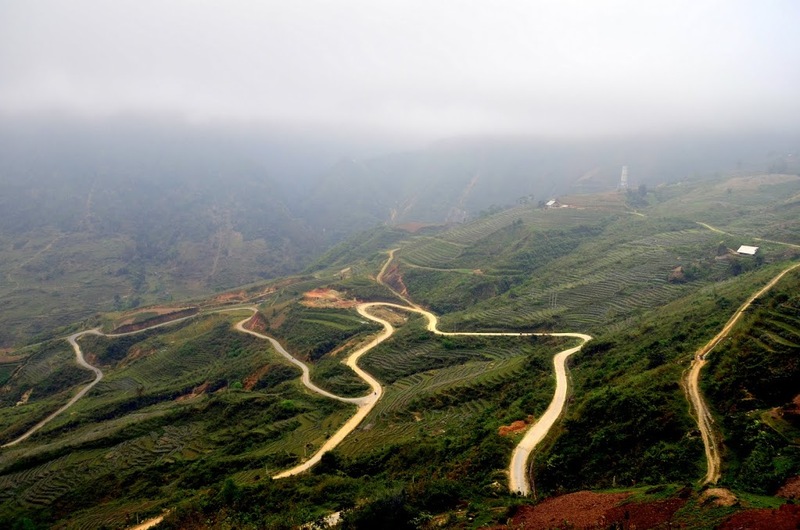 From there, we had arranged an hotel transfer for the 30 –min trip between DaNang and Hoi An. Almost immediately upon arrival, I knew Hoi An would be a highlight for me. 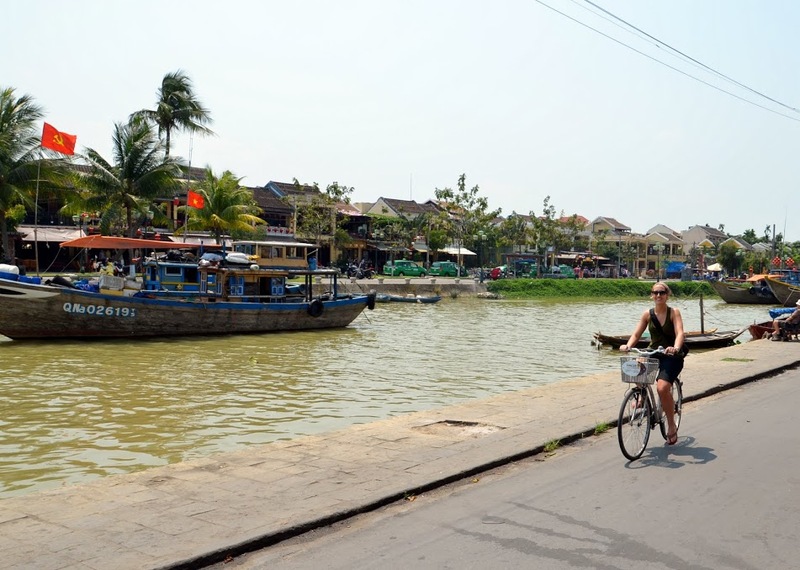 Hoi An is located on the central Vietnamese coast and used to be a big trading port between the 15 and 19th centuries. The small town is quaint and well-preserved, with a riving running through it, the beach a few miles away, hundreds of top-notch restaurants, lots of shopping and the highlight – thousands of tailors! Other sights include the Japanese Covered Bridge and the Quan Cong Temple. We stayed at a great little hotel right on river called Long Life Riverside Hotel. All the rooms surround a big pool, and guests get free access to bikes (which became our primary mode of transportation during our 4 days in Hoi An). 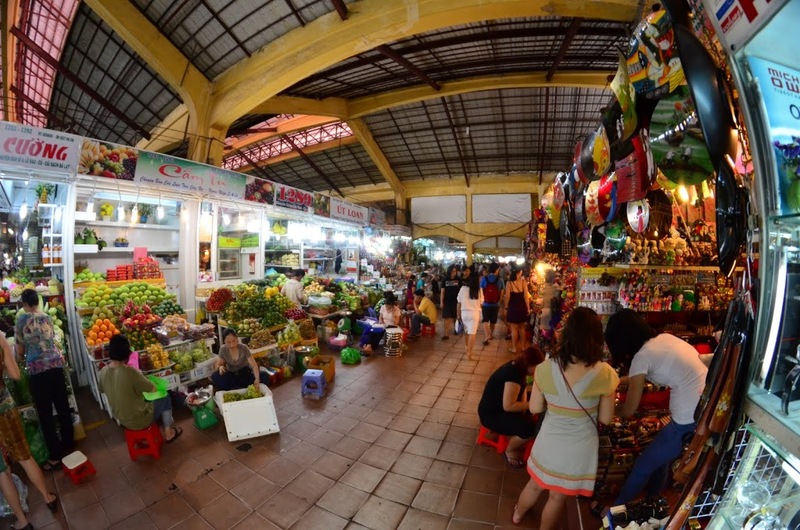 We’d start our days with the hotel’s complimentary breakfasts, take long bike rides to the beach, hang out and make friends with the myriads of other backpackers in the area, grab lunch and a beer, and head back to the city for some street food & shopping. Shopping here was INSANE. One could spend every waking hour at a different tailor in the charming little town and STILL not get to half of them. Both my husband and I got some custom clothing make (although in hindsight, I wish I had more made as its such a great deal). The process for bespoke clothing is quite simple – get lured into the store by a charming salesperson, look at some fabrics and patterns (or bring samples of the styles you want replicated), they take your measurements and a 50% deposit, and off you go. Come back a few hours later for a fitting and then pick it up the next day (or even sooner depending on your timeframe – we learned that anything is possible after I got a custom pair of sandals made in 30 minutes). All in all, this place is a shopper’s paradise!! 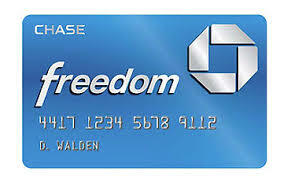 For those that have the Chase Freedom card (one of my top 3 cards) you can activate the 4th quarter bonus categories today. From October 1st though December 31 you can earn 5 times points on purchases made with these merchants. Go to your Chase site to activate your card. They have some very attractive stores in their bonus category for the 4th quarter where you can earn 5 x points. Some of the stores are Amazon, Macy’s, Nordstroms, Bloomingdale’s, Loehmans, Lord & Taylor, Neiman Marcus, Saks Fifth Ave and Off 5th, JCPenney, Kohl’s, Sears and more. For the complete list click here. As a reminder, if you go to the Ultimate Rewards mall, with some merchants you’ll get additional points plus the 5 times points from using your Freedom card. This is how I bump up my points. I’ve noticed in the past few weeks that I have gained a few new readers. I want to welcome you to my blog. I hope that you are able to take away a few tibbits of helpful tips for travel as well as new places to go and explore. When I first began writing this blog I wanted to focus on all facets of travel and for me that was road trips, places that I could get to by flying and my love of cruising – hence the name Air, Land & Sea. If you occasionally drop in, may I suggest that you join almost 300 other people and become a “follower”. All you have to do is click in the box to the right that says “Follow Me”. You’ll have to get a user name and password. A suggestion to you, if you decide to use your name as a user name, add only you initial to your last name rather than your full name or come up with a catchy name like Travel 4 Me. My goal is to reach 500 Followers by New Year’s Day. You can help me out by referring my blog to your friends if you enjoy it. You can check my progress of reaching by goal by looking at the right side where you sign up to become a follower – it will list how many I have to date! One of the things I absolutely don’t like after a flight is going to the luggage carousel to look for my luggage. 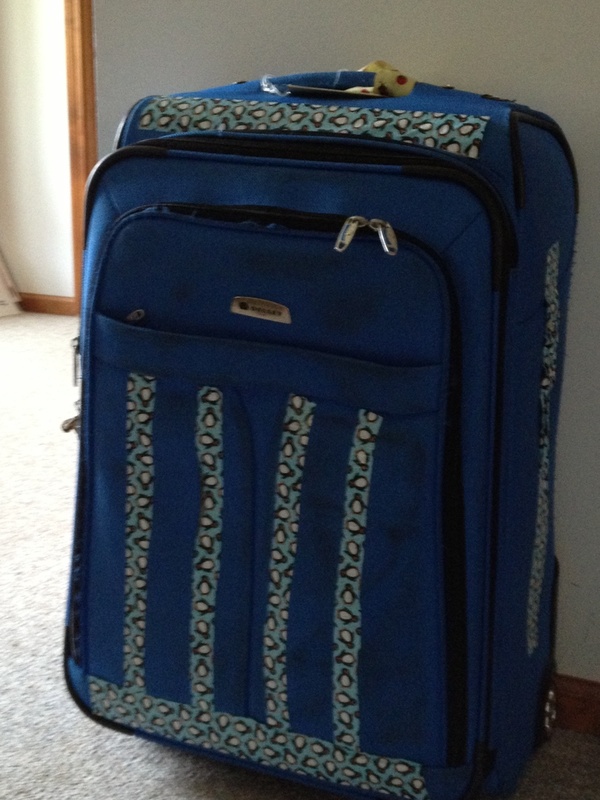 I try to minimize my frustration of trying to find my suitcase by getting a less popular color. There are so many black, red and navy blue suitcases and after a while they all begin to look alike, at least to me. I’ve tied bright bows, pom poms, etc on the handles but bows have become untied, and pom poms have broken off. I needed to put my thinking cap back on and find something that would make my suitcase stand out so that I could find it more easily and others would know that it definitely was not their suitcase. While I was thinking about that I also had wondered this year when we flew to Sydney and had three connections how I could describe my suitcase in the event it became separated from us. I thought it was a high likelihood with the number of connections that we had. Before we went to Yosemite everyone, and I mean everyone, told me that it was outstanding, that it was raw, rugged and something so spectacular that they couldn’t describe it any better. They couldn’t give me enough adjectives to describe it to me. I just didn’t think anything could live up to these descriptions – boy, was I wrong. I flew into Sacramento on United the end of June to meet my husband who was doing some work in the area. He had picked up a rental car earlier when we flew in. He picked me up and we were off in the direction of Lake Tahoe. As we traveled through we spent some time in an old western town called Placerville whose nickname was HangTown. They were doing some type of reenactment with covered wagons, panning for gold in the street in a horse’s trough. This is near where Sutter’s Mill was located where the California Gold Rush began. I had visions of gold dust in my eyes. It was a lot more difficult than I thought it would be as the gold was merely specks in the water and to get the swishing motion was not easy. Regardless, this was lots of fun for us. We spent a few days at Lake Tahoe driving around, doing some short hikes, seeing Emerald Bay (yes, it really is green). A trivia fact – did you know that the old television show “Bonanza” was filmed around Lake Tahoe because after all , it was south of Virginia City and near Carson City. There were advertisements along the road that went around the Lake for visitors to go up to the location, for a small fee of course. We were going to travel to Yosemite from Tahoe on the Tioga Road but it was still closed due to snow. We headed south and went in to the park where the Merced River flows through the park – the Arched Rock Entrance. We had reservations inside the park at Wawona Hotel, a National Historic Landmark. This was at the southern end of the park and a little of of the way for me. We were close to the Mariposa Grove of Giant Sequoia Trees. 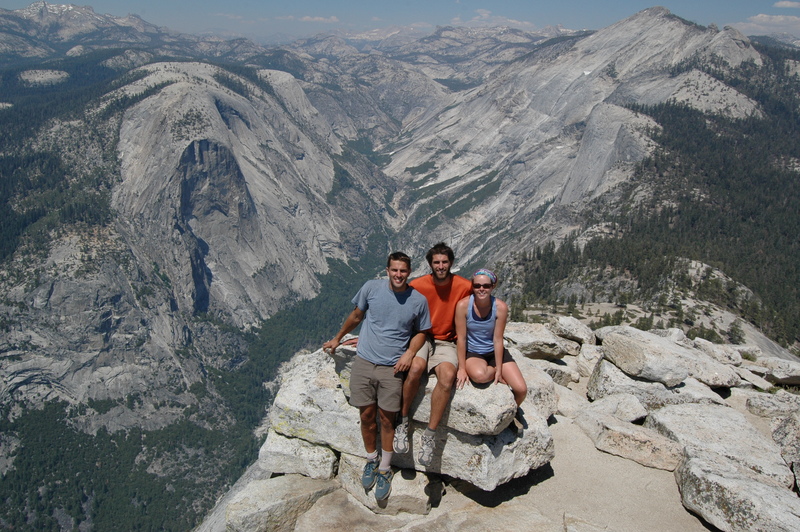 Being this far south, we always seemed to have a long commute to see the famous sites of El Capitan, hiking Bridalveil Falls, Half Dome (no, we didn’t climb it but watched in amazement as others did) as well as going to Curry Village. 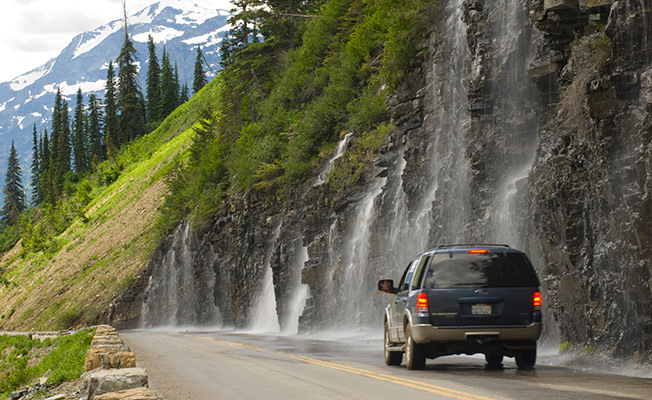 Since there was heavy snowfall the year we went, the waterfalls were flowing quite heavily. I don’t think that I have seen so many waterfalls in one location. Every turn we took was just as spectacular as the last one. I didn’t do any of the rugged hiking that our kids did a few years ago. 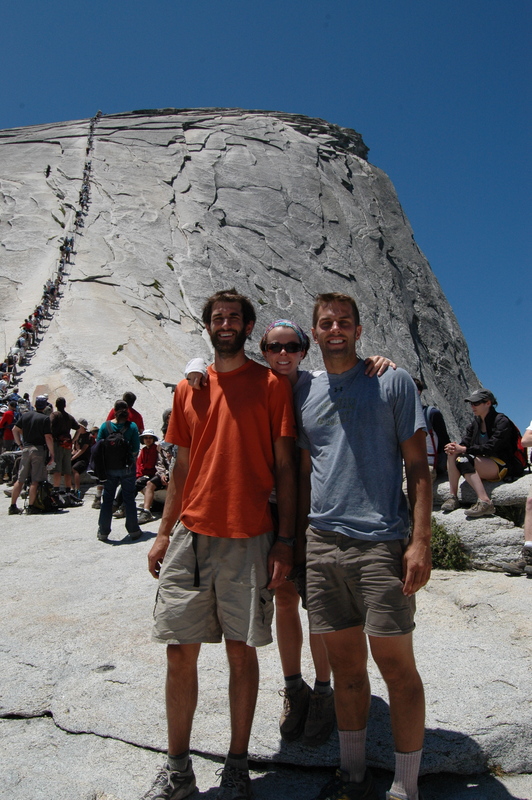 They were the ones you could see as ants climbing up Half Dome. There are steel cables going up and you are pulling yourself up. What made it difficult for them was the sheer number of people who climbed it. You could never get any good momentum going because there would be people a few feet from them. Nevertheless, that is one thing that they were able to check off the list of things to do. Whether you are going to view the granite monolith, hike to see waterfalls or wildlife, Yosemite should be on your list of must see national parks. On our way to Banff, we again took the Icefields Parkway and stopped at a couple of short hikes and viewing points we had missed on the way to Jasper. The day started out unusually clear with no low clouds and it continued to be sunny with only a few puffy clouds for our entire drive, until we got within a half an hour from Banff. By the time we got to our hotel, it was totally overcast. 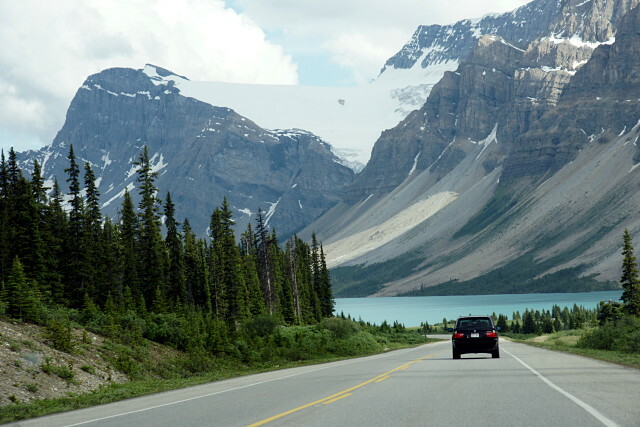 We had trouble finding our hotel so instead we decided to go right into Banff and go to the visitor’s center to ask for recommendations for hikes, restaurants and things we should definitely not miss in the area, as well as directions to our hotel. This is where we encountered the “lump”. He tossed a folded up trail map on the counter and told us to “read the book”. When we pressed him for a little more personal direction, he opened the map and drew a circle around a hike that he said would “get us started.” As it turned out we did try to do that hike the last day we were there and the entire area was closed due to “bear activity” and had been for a while. When we asked about restaurants and directions to our hotel, he told us in effect “that’s not my job”. He directed us to a couple of women at another counter for that information. I guess he doesn’t actually live in the town and doesn’t eat there either. One of the women at the other counter gave us a map of the town and marked several restaurants and things of interest on the map and give us clear directions to our hotel. She was most helpful. We then found our hotel and checked in. We were staying at the Juniper Hotel on the recommendation of a friend and we found it to be okay. The location was high on a hill a little way out of town, and the view was very good. They had our reservation messed up and couldn’t move us as they were totally booked that night because of a wedding reception They put us in a handicapped room with a queen bed when we had reserved a king. They did move us the next day to an upgraded room, which was fine. We had lunch in the hotel and it was quite good, but our last day there we had breakfast and it was only okay. Again I think I would have looked into something in town. 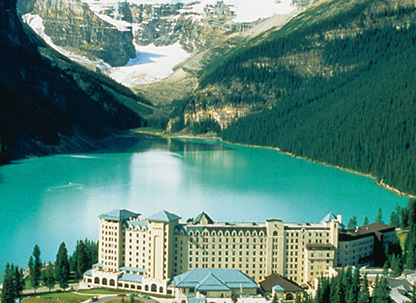 The premier hotel for Banff is the Fairmont Banff Springs Hotel — called the castle. It is a gorgeous old high-rise hotel and like the other Fairmonts extremely expensive. Anyway on to Banff. Banff is a small tourist town similar to Jasper, only bigger, and also has a congestion problem during the busy season. After lunch on our first day there, it began thundering and lightening and then rained. 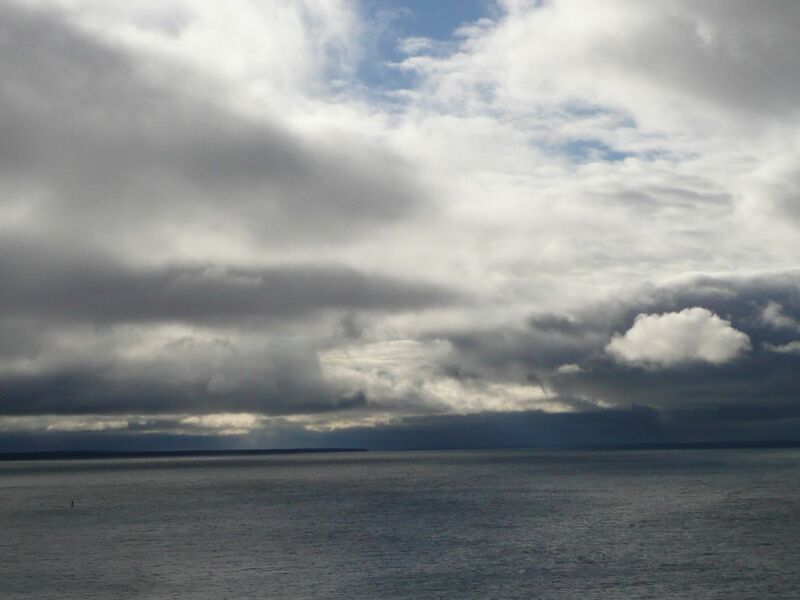 It didn’t continue all afternoon and when it cleared up we went into town to look around and had dinner. That first night we ate at a very small Thai restaurant that was very good. The town has numerous restaurants of all kinds and lots of souvenir type shops. When we walked down the streets of Banff we could hear many different languages, French, Japanese, Chinese, Indian, Arabic, German, etc. and even some English. We found that the days spent traveling from town to town are pretty much wasted days, so we were looking forward to our first full day in Banff. On that first morning, we decided to hike to the Hoodoos. We had heard there were hoodoos there and since we had seen hoodoos in Bryce NP and loved them, we were excited to see these. 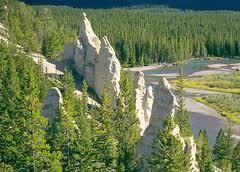 It was a nice hike, not too challenging, and not very busy, but the hoodoos were a real disappointment. They had like 5 hoodoos on the side of a mountain. Nothing like Bryce. After that we had breakfast at Melissa’s which was an excellent restaurant. We ate there several times for breakfast and dinner. Their specialty at dinner is prime rib and it was one of the best we have had, and everything we had there was very good and the staff was great too. After breakfast we headed up to Johnson Canyon. A really nice hike to the lower and upper falls. The upper falls were especially beautiful. You come around the corner and cannot see the falls until you are at the very end of the trail and it was quite spectacular. The hike was fairly easy and pretty busy. Since we were in the area we went to Castle Mountain to see Silverton Falls. Not a very long trail, but an interesting hike, climbing over and under tree trunks and over rocks. There were a few people on the trail, but not crowded. After lunch, I looked at one of the tour books we had brought with us and saw information about a walking tour of Banff. We did a little of the tour that afternoon and planned to do more the next day. We walked along Bow lake to their city park. They were having a free concert in the park, so stayed and listened a little while. Our second full day in Banff started out raining. We decided to continue our walking tour of Banff before breakfast. Luckily the rain did stop, but it continued to be overcast. We parked at the Cascade Gardens which is behind an administrative building at the end of town. Lovely flowers in a terraced garden. Then walked along the Bow River to the Bow River Falls. Not spectacular falls, but a very nice walk and easy trail. When we got to the falls, we were surprised to see that the Fairmont Banff Springs was just up the hill. We decided not to tackle the hill and go to breakfast instead. After breakfast we drove to the Fairmont. All the Fairmonts are definitely worth a visit. They are old historic hotels and quite beautiful. It was raining again, so we decided to go into town and walk around there a little bit. The weather did clear up and there was hardly a cloud in the sky. The weather is so crazy here. It can be beautiful and then a cloud shows up and it rains. We were really glad we had our rain gear and carried it in the backpack all the time. We then decided go to Minnewanka Lake and Johnson Lake for a couple of shorter hikes. As I mentioned earlier the area was totally closed due to “bear activity”. So we went back to town and did the Fenland trail near our hotel. It was seemingly a very simple trail, but we almost got lost. This time on the way back to town we say big horn sheep walking down the road. That night we had deep dish pizza at Melissa’s which was excellent. Our last full day in Banff was a beautiful day. We went to Cave and Basin. There was quite a large interpretative center there and trails around the hot springs. The center at one time had been used as a hot springs spa. 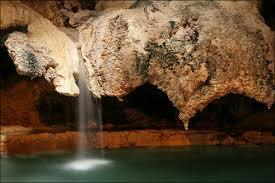 There was a small charge to go into the cave and tour the interpretative center. We did the loops around the building and wanted to continue on a farther trail from there, but were told we could only go to a certain point as a grizzly had been spotted farther in with a kill (elk), and the mosquitoes were terrible on the part of the trail we did do. We didn’t really have a lot of mosquitoes anywhere else. At this point, we had done about all the trails we wanted to do and/or could do, so we went back to our hotel, sat out on our patio and enjoyed the view. We both felt ready to go home. We spent 4 nights in Banff and 3 probably would have been enough. We have no idea how many kilometers we covered in hikes, but we certainly did see a lot of the area and wonderful scenery. We took well over 800 pictures, which included majestic mountains, gorgeous waterfalls and incredibly blue glacier lakes, as well as bears, sheep, goats and marmots. One of the things that I have really wanted to do (and Blogger Hubby doesn’t) is to go to Germany for their Christmas markets. I can just envision myself strolling down the streets at night sipping on some hot wassail or hot chocolate nibbling on a pastry as I look at all the handmade wares listening to the sounds of the season. Anyone else have this idea in their mind? I just recently had a friend and her husband move to a suburb of Frankfurt for a year while teaching in one of their schools. She casually mentioned that I could come for the markets but with the Hawaii trip next week and the Chicago Seminar a few days later I need to really think about taking another trip though this would be the opportune time since I could stay with them. (I think). Anyway, I began googling about Christmas markets and found this great site that shows where all the markets are and explains some of the items that you’ll see for sale. One of the items is a pyramid which is made out of wood, can have several tiers but at the top are small wooden blades like you would find in a ceiling fan that turn from the heat from candles that are on the lower level of the pyramid. I was fortunate to receive one 15 years ago when we had a German exchange student and his mother sent it over to us for Christmas. 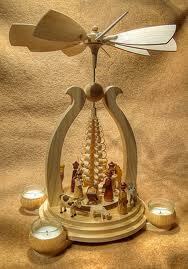 The pyramid that we have is the nativity scene and it is beautiful. Later that year when his dad came over he brought another one to me that has 4 tiers and all the movable figurines appear to be from the Black Forest. Smokers are small wooden people that have a pipe coming out of their mouth to release the incense that is lit in the hollow of the figures. The incense burning is said to remind people of the incense that the Three Wise Men brought to Jesus on the Epiphany which is January 6th. I’ll let you know if I decide to go or not. 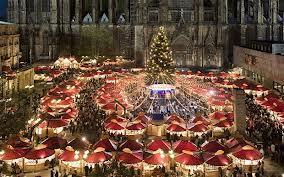 Have you ever wanted to go to the Christmas markets? up to $500 each with my credit card that I am either trying to meet the minimum spend on for the sign up points or a credit card that I am trying to get more points on. I then transfer the money that is on the VR to my Bluebird (BB) and I am able to do it online in the comfort of my home. Once the money is in my BB account, then I can pay bills electronically. BB advertisers itself as a debit and checking alternative. Last spring BB introduced free checks. To use one of BBs checks, you enter the check information on the BB site. Basically what BB does is preauthorize the check amount and they debit it from your balance. You can never be in an overdraft position because the check has to be pre-authorized. This is also handy because some payees do not accept credit card payments (IRS, anything I pay at City Hall, church donations, etc). 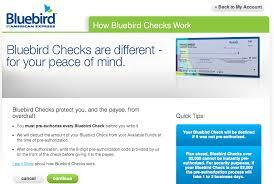 You can order free checks now until January 1, 2014. You have a choice of 50 or 100 checks and since they are free, I would order 100 checks. If you go to the VR site you will find a list of stores that supposedly sell VRs. Now I say supposedly because WalMart is listed and as far as I know they have never sold VRs. Click on all the stores because there are many names that I did not recognize them but they were the “holding company” and some of their stores were ones that I was aware of and had shopped at. Do you use Bluebird and Vanilla Reloads? We traveled from Harper’s Ferry to Pittsburgh and found the train to be very relaxing. There is plenty of leg room and you can walk around whenever you like. Trains also usually go right into the city, making it less expensive to get a taxi or shuttle to your hotel. I’ve sent you an email asking for your address to mail out your VISA gift card. For all my new readers, thank you for visiting. If you like what you have read so far, please consider becoming a “Follower” by clicking the tab on the right. Help me reach 500 readers by Thanksgiving by referring your family, friends and co-workers to my blog. Don’t forget to leave a comment on this blog (click on the highlighted words) about a previous post that you really liked for a chance at the $50 VISA gift card give away. This is in honor of Air, Land & Sea’s three month anniversary. As soon as the drawing is over, I’ll notify the winner and they will have 48 hours to respond back to me with their address for mailing the gift card. I’ve been very fortunate that my family lived in the metro Washington DC area their entire lives. For us it was nothing to take the metro into DC and go to one of the world class museums or zoo for free. Most of the museums in DC are associated with the Smithsonian which are free to the public. The Smithsonian, also called our nation’s attic, is a collection of 19 galleries and museums, including the zoo. On the National Mall alone are 11 of these museums and galleries. We lived close to Dulles Airport where in 2003 the Udvar-Hazy Center of the National Air and Space Museum opened. Basically it is two large hangers where it houses many air and space artifacts including the Blackbird, the Concorde and the space shuttle Discovery. IMAX movies are also available at the theatre and an observation tower. Like the other museums in DC, admission is free but here you do pay $15 for parking till 4 PM. I had always thought it was a little high for parking out here in the suburbs but it had been explained to me since it was so close to Dulles (actually on the airport property) they were concerned that some people would leave their cars parked at the museum while flying. So why am I going into all this information about the Smithsonian and museums? September 28 is Museum Day Live! Many museums and galleries across the country will be open free that day. Yes, you heard me …. F R EE. However, you can’t just walk up and get it free. That would be too easy. 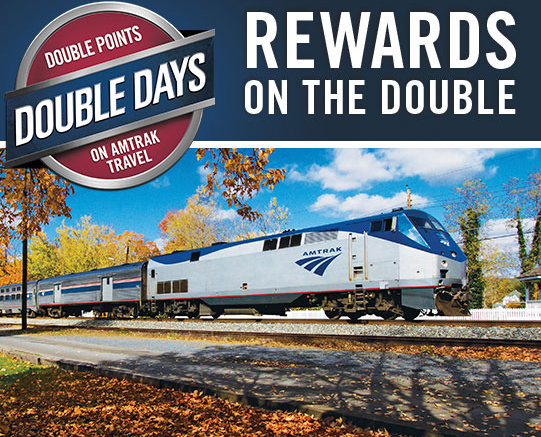 Instead you need to go to this site and click on ticket information. The “rule” is one admission plus a guest for each email address. Since Blogger Hubby and I each have our own separate email addresses, we were able to request admission to two separate museums. We are actually on vacation (remember Hawaii bound) during Museum Day Live! and we weren’t sure which museums are in the area that we were visiting. By going to this site I was able to go to the map and found which museums were in my area. Hope you are able to take advantage of this special day and visit a museum that you ordinarily wouldn’t visit. 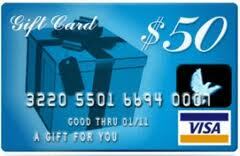 REMINDER : You still have time to enter the free $50 VISA gift card give away. You need to go to this post and leave a comment on what you have liked about a particular post. I’ll do the drawing with random.org on Sunday night at 9 PM. You’ll have 48 hours to respond to my email asking for your address to mail you the gift card. If you are anything like me, you probably belong to several different hotel loyalty programs and have points in all of them. I know when we were planning our Hawaiian grip I needed to go to each hotel site and see if they had a facility in the locations that we wanted to stay in as well as how many points it would be to sty there. It REALLY took a long time to do this, at least for me. I’ve just found out about a tool that will certainly help me and I hope you. It is called Award Mapper. It’s shows hotels on the map as well as on the right sidebar. It’s a good beginning to finding your hotel. It does not include all locations or all hotels but it includes many of the big players. REMINDER: Leave a comment on THIS post to be entered into the drawing for a $50 VISA gift card on Sunday night at 9 PM. You can enter once a day with a comment about what you like about this blog. Good luck everyone. 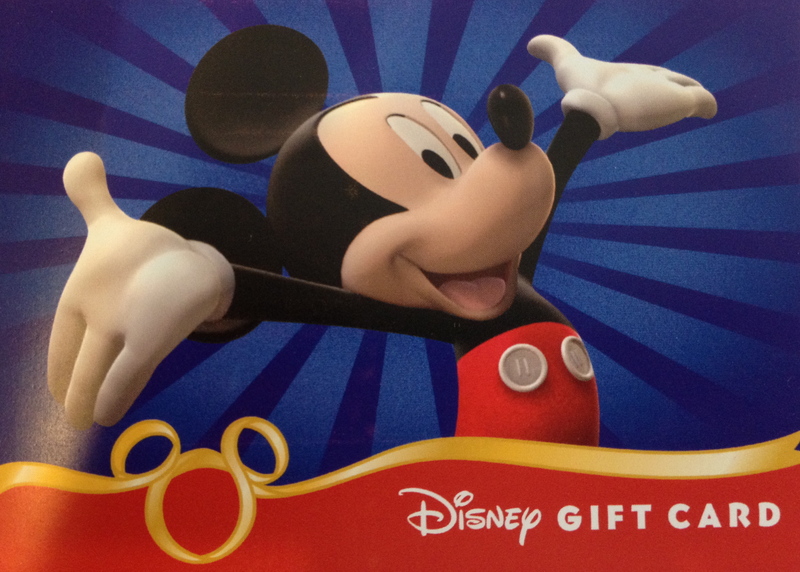 In A Cents is giving away a $50 Disney gift card. For details, click on this link. While you are there, look around his site. There is some really good information on his blog. I’m a firm believer in supporting our local businesses as much as I can. I was really excited last year when I found out about Small Business Saturday and the role American Express plays in it. Small Business Saturday, this year on November 30th, is all about supporting your local businesses; those Mom and Pop stores, the independent retailers that most of us have in our communities. It’s a day to get people out and to shop at these stores. The idea of Small Business Saturday was created by American Express in 2010. Too often we order online while our local businesses are suffering from low sales. To encourage American Express cardholders to shop locally, American Express, in the past, has given a $25 credit on your statement if you made a single, in person transaction of at least $25 total on Small Business Saturday with a registered small business. We expect the same this year as it has been in the previous years. Just notified that it is $10 for 2013 – make a $10 purchase and get $10 credit. To find out if your favorite local store is participating, you will need to go to this site and highlight and then delete the city that is showing. Add your city in and you will see who is participating so far. Not much showed up for me till I went to the different categories (Dining, Shopping, etc) Remember more and more merchants will be joining so review the list periodically. Last year we frequented a local restaurant that was identified as a Small Business by AmEx. We went in and bought a $25 gift certificate for a future visit and received the $25 statement credit. It was great – we had two evenings out for the price of one. You too can purchase merchandise or gift certificates for a future purchase and take advantage of the credit. Air, Land and Sea has just celebrated its 3 month anniversary and I have a gift for one of my lucky readers – a $50 VISA gift card. This give away will last all week and a drawing will be held on Sunday, September 15 at 9:00 PM using random. org to make the winning selection. I’ll notify the winner by email and he/she will have 48 hours to confirm their address to me in order to mail the gift card. If I don’t hear back within 48 hours, I’ll make a second drawing. How do you enter? Easy peasy. Leave a comment on this post about one of the past posts that you liked. You can get an extra entry by having friends sign-up as followers – just write in the comment section “friend signed up” and give me your friends email address. I’ll omit his/her address from being published. If s/he doesn’t sign up, then your extra entry won’t count. The more friends you have sign-up, the more entries you will have. Remember, leave a comment to enter the contest; get extra entries by having friends sign-up. You can enter once per day with a comment. You can enter as many times as you want with friends who have signed up. Good Luck everyone. Have any of you heard of AirBnB? I bet you know what VRBO (Vacation Rental by Owner) is. Well, this is something similar. Whether it is renting an entire house for a vacation or a room in someone’s home for a few nights, you will find what you need on this site. There are many reviewers that share their experiences. You can find some unique and very different accommodations There are properties in 192 countries. This is a great alternative to a stay in a hotel particularly when you are with your family and want to give your grandkids or your children room to spread out Some properties will also have kitchen facilities which will make it convenient. If you don’t know where in the city to stay, let them help you with the neighborhood guide. 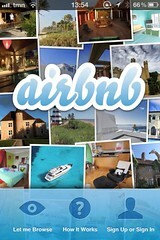 Head on over to AirBnB and see if it might meet your need when traveling. Yes, we booked our hotels. We had SPG points, Hilton points and 2 free nights at a Hyatt from our credit card. We really want to use points to pay for our hotel stays. I needed first to find out if there were any Hyatts on Kauai and the Big Island. 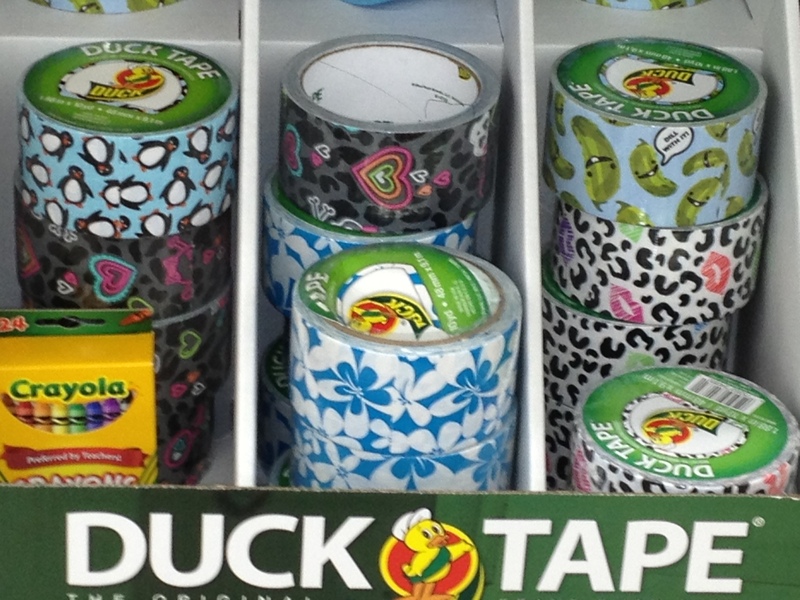 Turns out that there is one and it is on the island of Kauia – just as I had hoped. I went on their website, clicked on the Gold Passport tab, put in my dates and waited for the great news that we would have a lovely room for two nights – for FREE!!!! Except, that didn’t happen. Apparently there were no rooms available for redemption. My heart sank. This was the Grand Hyatt Resort and Spa. Oh, I wanted to be bathed in luxury. I needed to think more about this. On the website site I decided to send a message explaining that this was my first time in Hawaii and I had some difficulty navigating their website and could they help me use my free night certificate for the nights I wanted.. I really didn’t help but I needed to say something to them. I sent the email off and waited patiently for their reply. Meanwhile, I needed to continue with our planning. My next best option was to use the SPG points. I found a nice Sheraton on Kauai that I made a reservation for 12,000 points per night. I could always cancel this reservation if Hyatt came through. We booked it. Then it was on to our stay on the Big Island of Hawaii. They also had a Sheraton and although I didn’t have enough points for free nights, they do have the option of paying fewer points and combining it with cash. That was a doable option. I looked further and there is a Hilton although it is requiring 50,000 points per night and we are planning on staying three nights. I have plenty of those points but I hate burning through that many points but it was an options. In my mind, I play out the different scenarios. IF the Hyatt free nights come through, then I can cancel the nights on Kauai with the SPG points and then use them on Hawaii and cancel the Hilton points. We checked our email and we had a reply from Hyatt asking us to call them. We did and explained what we wanted. No problem and we were booked. I felt like doing a dance. I know, it’s rather silly but I was so excited at staying at such a beautiful property and the fact that we could use our free certificate would be icing on the cake. Now, we need to cancel the Sheraton hotel that we booked with points on Kauai and have the points redeposited so that we can cancel the Hilton property and use the SPG points on the Big Island. Sure, it has taken me a little time to figure all this out but I knew what my options were and I had a Plan B. As you could tell, Hilton properties require more points but for me they are very easy to obtain. With my AmEx Hilton Honors card, I get 5 times points in grocery stores. 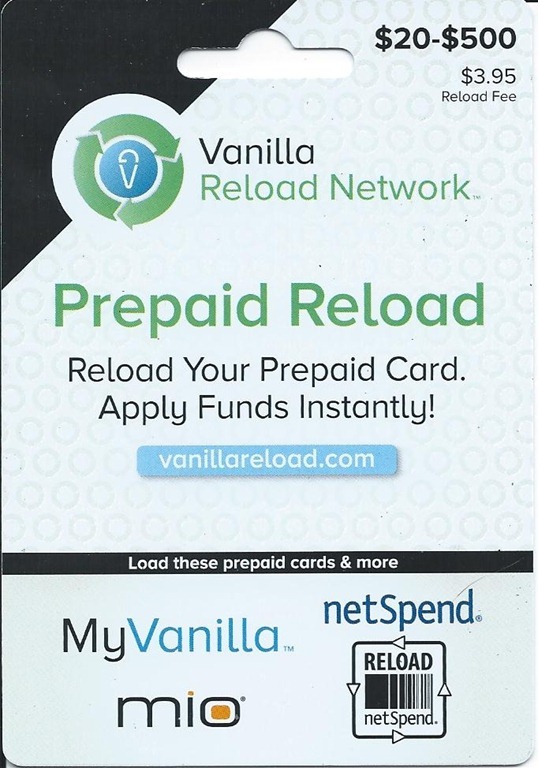 I can purchase Vanilla Reloads at a grocery store here. Last week I bought $2000 worth of VR’s with my Hilton card and earned 10,000 Hilton points! SPG points can be used at several hotels, require fewer points but can be more difficult to get those points. I think since I am using about three quarters of my SPG points that I need to move this card up toward the front of my wallet and replenish and grow my SPG points for the future. I have a lot of Club Carlson points but they didn’t have any properties in Hawaii. They are now saved for our big trip in 2014 to South Africa..
What hotel points do you have and collect? Are you happy with the redemption values? Are you thinking about becoming a loyalty member of a different brand and is so, why? Once again my sister-in-law who was touring Glacier National Park last month offered to share her story with you. room. On the plus side, it was clean and the bed was comfortable and it had a heater in the bathroom which was invaluable because even though we wore our rainsuits, some of our clothes got wet from condensation and my backpack got soaking wet. There was also a very good diner there, which had great breakfasts, and fairly gourmet dinners and excellent pizza. After we checked in we stopped at the ranger station in Glacier and got info about possible hikes for that afternoon and the next day. That afternoon wehiked to Avalanche Lake (2 miles one way), which turned out to be farther andmore challenging than we thought it would be. It took us 2 hours to go the 4 miles and it was raining pretty hard the whole time. The next day we headed to Logan Pass to hike the Hidden Lake Trail (1.5 miles one way). It finally cleared up while we were at Logan Pass and the animals were glad too. We saw mountain goats, big horn sheep and lots of ground squirrels. It was a pretty easy trail and well traveled. We stopped at Rising Sun Lodge within the park for lunch, which was very good. We then headed to Saint Mary’s Falls to hike to both Saint Mary’s Falls and Virginia Falls (2.5 miles one way), pretty easy hike and lots of other hikers. The falls were really beautiful, especially after all the rain. At one of the falls there was a group of young guys jumping into the river off the rocks near the falls. We stayed 2 nights in Glacier — so really had 1 1/2 days, which seemed to be enough. We were told there were only 2 lodges within the park, but we saw other lodges. So the 2, Lake McDonald and Many Glacier Hotel must be the only ones that are handled by the park service. We had lunch at Rising Sun Lodge which appeared to be in the park and looked very nice. There were other lodges also. There is also a free shuttle service on the Going to the Sun Road, which we didn’t use and didn’t really have any trouble parking when we wanted to. It stops at different places and you can get off and hike and wait for the next shuttle. Additionally there is the Little Red Bus, which does tours along the Going to the Sun Road It is touted in all the tour books, but we didn’t do that either. I’m sure if you wanted to get an overview and lots of background information it would be a valuable tour to take. We left West Glacier early the next day and stopped in Whitefish for breakfast. We found an incredible little crepe place in the downtown Whitefish, Amazing Crepes and Catering. After lunch we continued on to Lake Louise and arrived around 3 PM and the place was a zoo. Cars and tour buses every where. Luckily the hotel Fairmont Lake Louise had a parking garage for hotel guests only. The hotel was beautiful and right on Lake Louise. 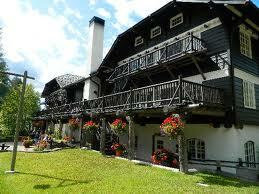 It is THE premier hotel at Lake Louise and very expensive. The hotel was running a special of buy 2 nights get 3rd free and it was still extremely expensive, but the location was perfect. We joined the Fairmont Club which gave us some perks like free wi fi. Worth joining and is free. Our room was nice, but not huge, but with all the amenities you would expect, including terry cloth robes and luxury bedding. We checked out the several restaurants in the hotel and decided they were way to expensive ($25 for a hamburger and $20 for pancakes for breakfast). They did have a 24 hour deli with good quality pick up and go food, and wonderful desserts and pastries, so ate breakfast, lunch and even most dinners there. Even that was on the expensive side, but more reasonable. We ate the first night in the Village of Lake Louise at Lake Louise Village Grill and Bar. It was a Sunday night and not much else was open. We ordered 2 Chinese dishes and they were both quite good. The next day we headed over to Moraine Lake and wanted to do a trail called Consolation Lakes, but there was a restriction on the trail due to bear activity that a minimum of 4 people had to go together. If you are caught violating a restriction you may be arrested and fined up to $5,000. We waited a while hoping someone else would come, but no one did, so we walked another trail along the Moraine Lake. After that we went to Yoho NP to see the spiral train tunnels. It was pretty interesting how they had carved a figure “8” into the mountain to make it easier for the trains to make the steep grade. We were very lucky that while we were there trains came through. We then continued on to Takakkaw Falls where the road to the falls had two very tight switch backs and we were fortunate that we didn’t meet any cars on the switch backs. Takakkaw Falls is the second tallest waterfall in Canada. You could hike right up to the falls and we even got sprayed. Easy trail and well traveled. We then came back to Lake Louise and decided to hike to Lake Agnes Tea House for lunch. There are two tea houses you can walk to. Lake Agnes is 4.4 miles round trip, but very steep. The other is Plain of Six Glaciers which is 7 miles round trip, but less steep. We opted for the shorter one. However, the trail and the tea house were so busy we ended up not staying for lunch. It was an hour wait to get food. It took us 2 hours round trip. We later found out that 36,000 people visit Lake Louise everyday in the summer season and that particular weekend we were there was a Canadian 3 day holiday so it was even more crowded. 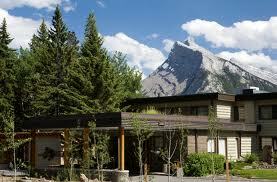 The hotel holds 1,200 people, but there are tour buses and vacationers from other areas that come to see Lake Louise. It’s best to do the tea houses before 10 AM or after 6 PM because of the crowds. The next day before breakfast we did the Fairview Overlook — again very steep, but not very far. We were carefully watching for bear and making noise as the trail was not well traveled. After breakfast we went to the gondola lift early hoping to beat the crowds. At the gondola along with your ride, you could purchase a full buffet breakfast for $2 or a full buffet lunch for $7. We purchased the lunch. We hoped to see bear from the gondola, but didn’t. At the top of the gondola there was a pretty nice interpretive center and other trails. We did a hike to Kicking Horse Lookout. Another fairly steep hike, but not very far. Also fairly busy trail. The other trails at the top were closed due to bear activity. This was our last full day at Lake Louise. We spent 3 nights there and felt it was enough. 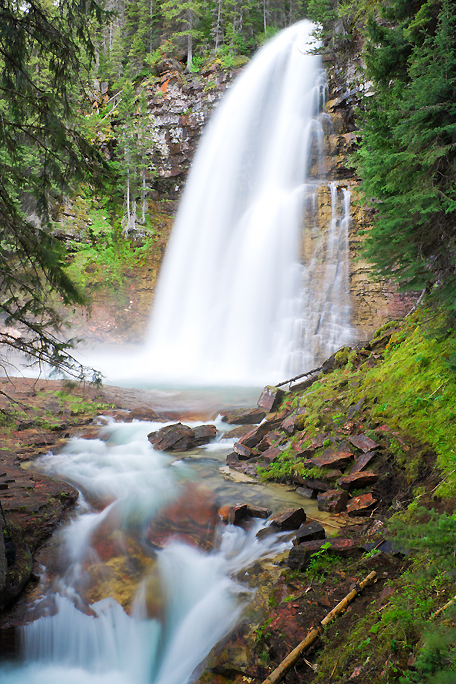 My note: Did you know that it is predicted that the glaciers in Glacier National Park will disappear by 2020? For more information, read this article in National Geographic. Of course, that is just one study but I bet by the time our grandchildren are married and having children that there will be no more glaciers for them to see. The Mackinac Bridge is an engineering marvel. It is a suspension bridge spanning across the Straits of Mackinac connecting the two peninsulas that make up the state of Michigan. According to Wikipedia the Bridge it “is the world’s third-longest in total suspension and the longest suspension bridge between anchorages in the Western hemisphere. 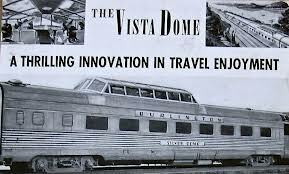 What makes it an engineering marvel is that the design had to take into account the strong unstable winds in the area and the harsh winter conditions. Lessons learned from the Tacoma Narrows Bridge influenced the way that the Mackinac Bridge was designed and built. Shoreline to shoreline, the bridge is 5 miles though the length of the main span is 3,800 feet. The bridge is very high to allow freighters who are carrying ore in the great lakes and other loads to travel under the bridge. Every Labor Day there is a bridge walk over the two north bound lanes of the bridge. 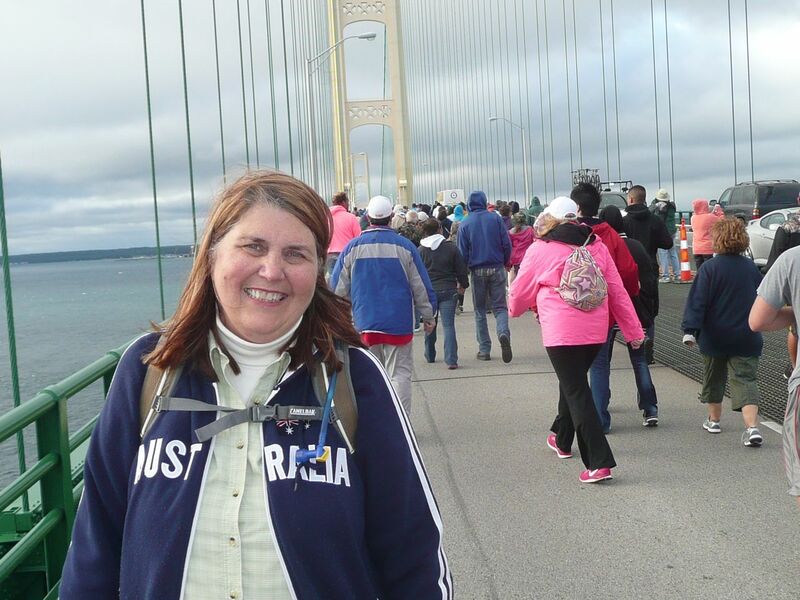 Leading the bridge walk is the governor of Michigan. 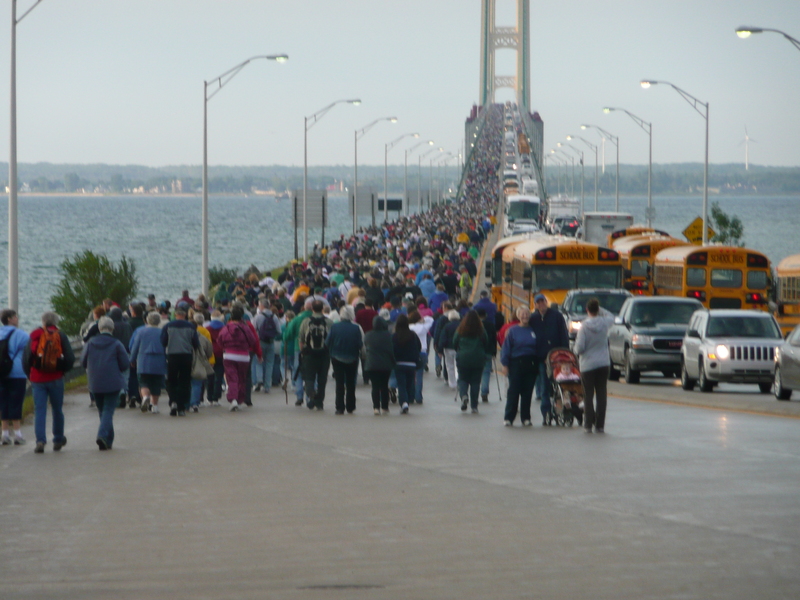 There are many, many school buses taking walkers across the bridge from Mackinaw City to the starting point in St. Ignace, the southernmost city on the Upper Peninsula. Blogger Hubby has walked the bridge several times but never me. I’m afraid of heights, afraid of this bridge because a woman in a Yugo car in 1989 was blown off the bridge. I’m the type of driver that has someone drive me across the bridge while I get in the back seat. I decided to tackle my fear, sort of, by walking across the bridge with Blogger Hubby and a couple of our friends. 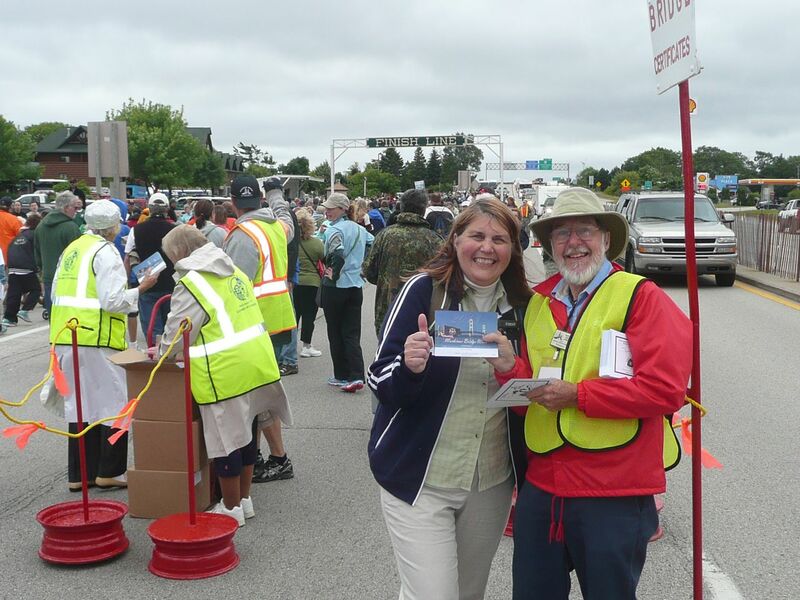 We had a driver take us across the bridge to St. Ignace (the start) at 7:00 AM. Since the temp was in the low 50’s and their were winds about 19 miles an hour, we dressed appropriately. I had a turtleneck, button down shirt and a zip up sweatshirt. In my CamelPak (which you know I just love) I had water to help me when I got thirsty, homemade chocolate chip cookies, camera, phone and sunglasses. I also wore another favorite product of mine – Smart Wool socks. 40,000 thousand people were expected to walk today and if there was any indication from our almost two-hour walk, there were many, many people on the bridge. The Michigan National Guard lined the edges by the rails so no one would be tempted to jump off. The scariest part for me was walking over the steel grating. I much prefer the hard top surface. I was so touched to see a woman pushing her elderly aunt in a wheelchair across the bridge. Also a disabled young man pushing his walker; many parents pushing strollers with their children in them. I also saw elderly husbands and wives walk across the bridge hand in hand. What a marvelous morning and so inspiring. At the end we received a certificate to commemorate our walk. There was even a finish sign at the end. We then had to walk about 4 more blocks to meet our friends and get the ride back to the lake where we seemed to immediately fall asleep in our chairs as soon as we sat down. I tried to google to see how many bridge walks there are that are four miles or longer and it seems that it is just this one and the Chesapeake Bay Bridge (which is even scarier) though that one has been inconsistent in the past few years. Have you done a bridge walk? Which bridge did you walk over and how long was it? I’d love to hear your experiences.